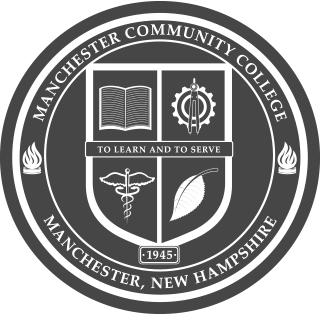 Manchester Community College is part of the Community College System of New Hampshire, and is committed to providing comprehensive, market-driven programs that respond to the needs of students, businesses and communities. MCC has one of the most diverse campuses in New Hampshire, with students claiming 50 different countries of origin. Although 96 percent of students are New Hampshire residents, there are students from 21 different states attending MCC. Over the years MCC has created partnerships with the businesses and non-profits in the Greater Manchester area to open opportunities for experiential learning for students. MCC participates in internships (paid and unpaid), co-ops, clinical rotations and service-learning projects. With seven main campuses and three academic centers covering the state, New Hampshire Community Colleges offer convenient locations, flexible class schedules and transferable courses. Our two-year associate degree programs and short-term certificate programs in a wide variety of career fields prepare you for jobs that are sought after. All New Hampshire Community Colleges offer high-quality programs with exceptional faculty members who care about their students. View the MCC Career Guide to explore diverse academic programs and in-demand careers with information about job options, skills required, common college courses and average annual pay.